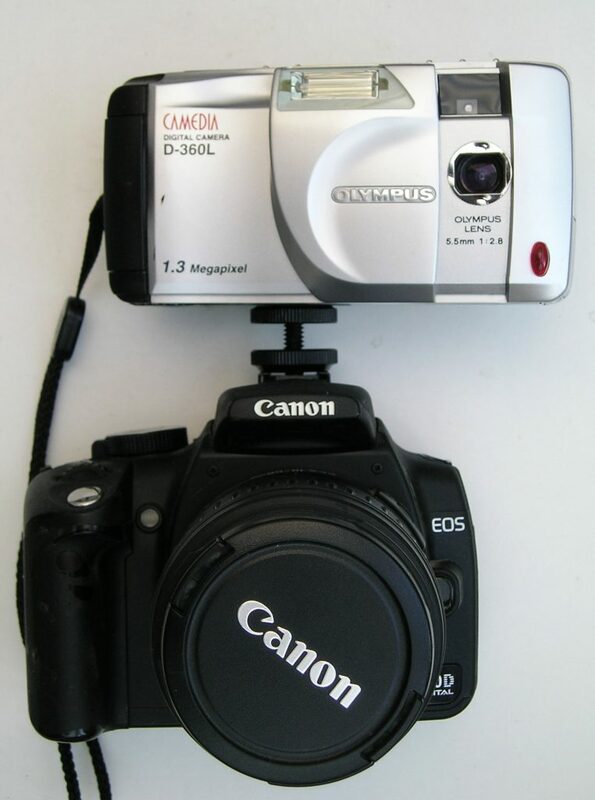 Paul, from Australia, told me (and sent photos) of how he had mounted an Olympus D-360L camera onto the Canon 350d and can now take accurately pointed photos using the Olympus camera’s view finder. This idea is working very well, also the Olympus is very useful being able to take a normal photo of the target area at the same time as the photo being taken by the Canon. You can actually see the area clearly that you were looking at which is rarely the case with the Cannon infrared image. 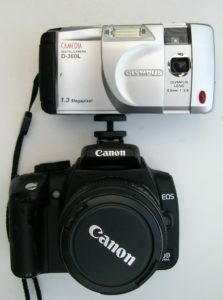 Ideally you would hope to get the small orb auras, without a filter, on the Olympus to confirm the auras on the Canon although there is a small snag here in that the Canon seems to work best in the early afternoon while the Olympus seems to prefer low light conditions at dawn or dusk, like the Polaroid. Nevertheless it is a good idea worth pursuing and having a normal image in tandem with the IR image is useful, although that could be achieved with any compact, with a viewfinder, similarly mounted. Bear in mind that the lens on the Olympus is offset so the Olympus needs to be skewed slightly to capture the same view as the Canon. Stand mounting the set-up would be preferable. 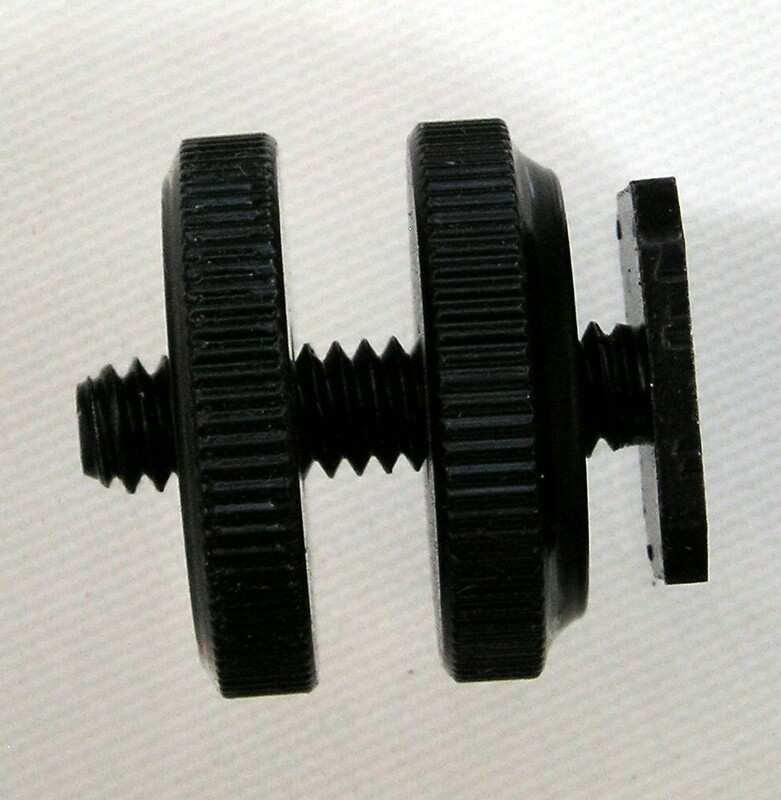 This is the adapter I used in the set up, they come with one or two nuts; although I prefer the two nut version as it holds everything more securely. The Canon’s pop-up flash is deactivated by fitting the mount, in case anyone was wondering.